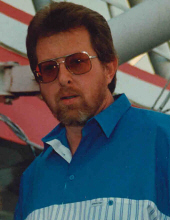 Gary Joseph of Williamsburg, Ohio, age 63; born September 20, 1955 died after a long illness on April 10, 2019. Gary was the beloved husband of Peggy (Stoops) Garrison. He was the devoted father of two children, Gary Wayne Garrison and Melissa Ann Chaney (Steve). He was the proud grandfather of seven grandchildren; Bradley, Ethan, Brayden, Joey, Zach, Nolan and Jaxson. He has one brother Rob Garrison (Jackie) and one sister, Brenda Garrison; and one nephew Kyle. Gary worked for Siemens Energy and Automation for 30 years. He enjoyed fishing, family barbecues and gardening. The visitation and funeral service will be held at the Greenbush Baptist Church, 15977 Edgington Road, Williamsburg, Ohio on Tuesday, April 16, 2019 from 10am to 12 noon. The funeral will be held immediately following the visitation. To send flowers or a remembrance gift to the family of Gary Joseph Garrison, please visit our Tribute Store. "Email Address" would like to share the life celebration of Gary Joseph Garrison. Click on the "link" to go to share a favorite memory or leave a condolence message for the family.